Take our virtual tour, then read about guest amenities below. To navigate: click to move forward; click and drag to view up, down, left or right. Comfortable Guestrooms: Each family staying at our house has a hotel-like room equipped with Wi-Fi, a mini-fridge, a sitting area and private bath. 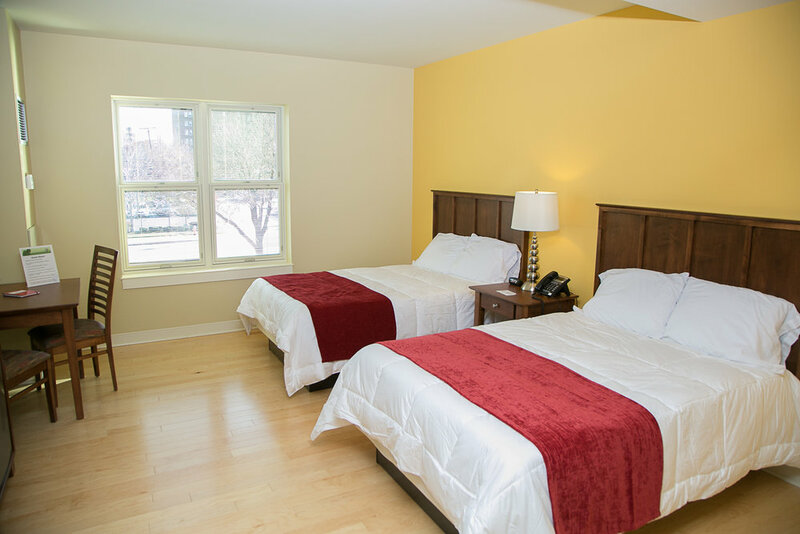 All of our rooms have beautiful hardwood floors which help to keep allergens and germs at bay, while aiding in accessibility. Spacious Common Areas: There are several common areas of the House where guests can mingle, video-chat with distant friends and family, do homework or online research, or relax and watch a movie, read a book or play a game. There are often group activities or entertainment hosted by volunteer groups, or visits from our Pet Therapy partners. Fully Equipped Kitchens and Dining Areas: Our kitchen has four separate cooking areas, and is always stocked with snacks, beverages and cooking staples. Volunteer groups help us provide families with three meals a day. 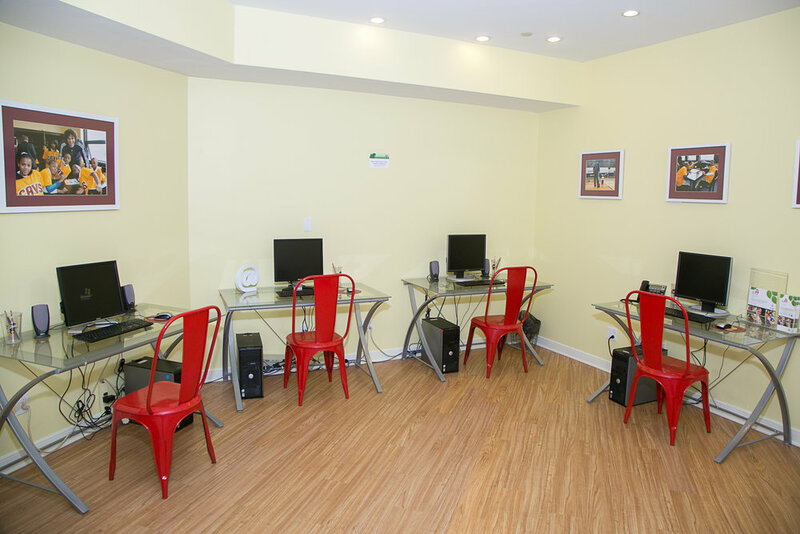 Guests are also welcome to store food and prepare their own meals. Our kitchen opens onto a patio with an outdoor cooking and dining area when the weather is warm. Landscaped Grounds: The Ronald McDonald House of Cleveland is surrounded by more than two acres of beautifully landscaped gardens which boast a playground, contemplative walkways, an accessible tree house and a Koi pond. There are lawn areas for play, and secluded sitting areas where parents and patients find peace away from the hospital. Vegetable and herb gardens provide seasonal produce for use in our kitchen, and our grounds are designated an official Backyard Wildlife Habitat by the National Wildlife Federation.